Which licence should I get? Microlight Certificate - Recreational Pilot's Licence - Private Pilot's Licence? Each licence type has its advantages and its limitations. The licence you have determines the type of aircraft you can fly. While some Flying NZ clubs specialise in one or the other, many offer training for both. WHICH LICENCE SHOULD I GET?Learn to fly at your local aero club, at a pace to suit your time and budget. The primary difference between a Microlight and a General Aviation aircraft is weight. The principal secondary difference is the stall speed in the landing configuration, which determines the minimum air speed when landing. Other major differences are the maintenance and training requirements, stability of flight in less favorable flying conditions, licensing and operating costs. The Recreational Pilot's Licence (RPL) Private Pilot's License (PPL) and Commercial Pilot's (CPL) are issued by the Civil Aviation Authority (CAA) whereas a Microlight Certificate (AMC) - not strictly a license - can be issued by a Part 149 organisation, under delegated authority from CAA. 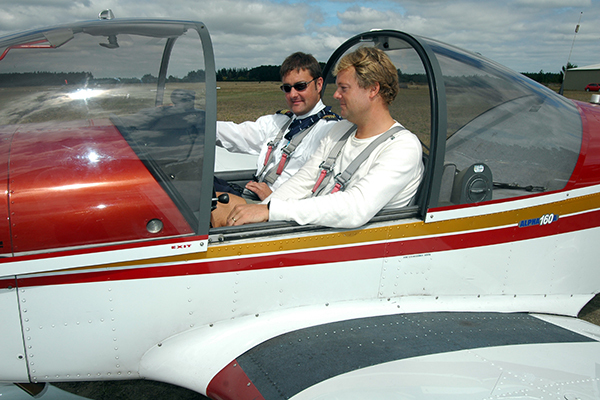 Flying NZ holds a Part 149 certificate and under delegation issues Microlight Certificates of all levels, including for microlight instructors. Holders of a PPL and CPL can fly at night and under Instrument Flight Rules (IFR) when rated to do so. They can also carry as many passengers as the capacity of the aircraft they are rated to fly. Microlight (AMC) and RPL pilots are limited to daylight operations and a maximum of two places including that of the pilot. Other restrictions also apply to RPL and AMC pilots. A PPL and CPL medical examination is conducted by a designated medical examiner and accessed by the CAA. Microlight and RPL medical examinations are less expensive being undertaken by your own doctor. A microlight aircraft is one that does not weigh over 600kg when fully loaded and has a fully loaded stall speed, when in landing configuration, of 45 Knots or less. Some advanced microlight aircraft, look, handle and fly as fast and as well as any GA aircraft, at a much lower operating cost. Maintenance requirements are less stringent also helping costs. Inherently however because of their low weight and inertia, they are not usually flown in turbulent conditions, resulting in less flyable days. To gain an Advanced Microlight Certificate (AMC) the trainee must undergo flight and theory training in a microlight aircraft and demonstrate competence to an instructor authorised to conduct flight tests under a Part 149 delegation. An Advanced Microlight Certificate (AMC) holder can fly any microlight aircraft that they are rated and current in. A microlight pilot may not carry passengers, unless authorised by the issuer. The certificate will be endorsed accordingly. PPL, RPL and CPL pilots may also fly any microlight aircraft that they are rated and current in and can carry a passenger. As with all aircraft operations, the privileges of a licence can only be exercised if the pilot has a valid medical certificate and has had a Biennial Flight Review (BFR) within the previous 24 months, undertaken by an instructor authorised to conduct BFRs. The training requirements for a PPL or RPL are the same and flight training must be provided by a CAA Part 61 rated instructor. The main difference between the two licenses is the medical requirement. A pilot who operates under a RPL has some restrictions similar to the holder of an AMC, in particular the right to carry only one passenger. The passenger must be briefed that the pilot does not hold a CAA medical certificate. The RPL is not internationally recognised. A RPL pilot may apply for a PPL licence on obtaining a CAA Class 2 or higher medical certificate. PPL or higher licensed pilots may also apply for a RPL under a DL9 medical so that they may continue to fly should they not be able to renew their CAA medical. A PPL pilot may fly any GA aircraft up to a maximum all up weight of 2000kg that the pilot holds a rating for. The PPL is internationally recognised and it is part of the normal pathway to obtaining a CPL or higher licence. If your intent is to only ever participate in Sport and Recreational flying, then an AMC or RPL may be all you need. If you wish to take your flying further, or wish to be free of the restrictions, it is recommended you obtain a CAA medical early in your career. 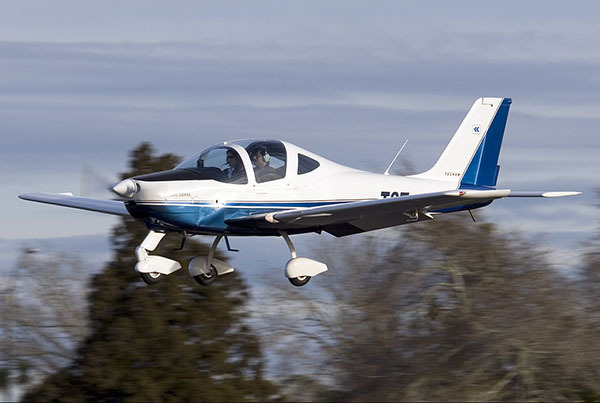 Light Sport Aircraft (LSA) aircraft may be used for AMC training or you can gain your PPL or CPL in a Light Sport Aircraft, when trained by a Part 61 rated instructor. Advanced Microlight aircraft are two place aircraft weighing 600kg or less when fully loaded with pilot, passenger fuel and baggage. They are usually powered with an efficient light weight Rotax engine, often water cooled. Limited maintenance can be undertaken by the owner. The aircraft must undergo an annual airworthiness inspection. 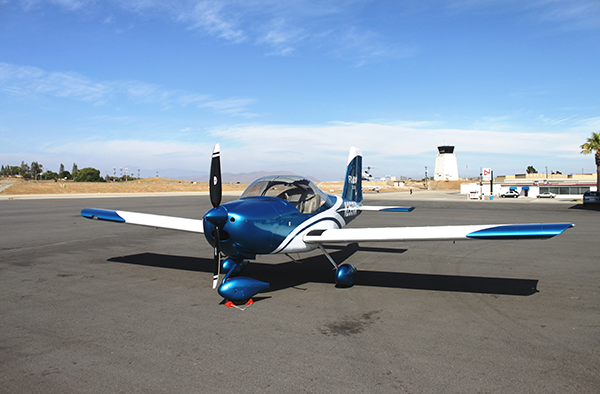 GA training aircraft are usually two-place but can be four-place and are certified aircraft. They are maintained by a CAA licensed aircraft engineer (LAME) to strict standards. Popular two-place trainers are the Piper Tomahawk, Robin/Alpha 2160, and the Cessna 152. 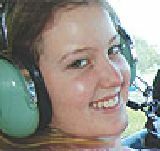 Some PPL trainees prefer to train in a four-place such as a Cessna 172 or Piper Warrior. While cross country flying is usually undertaken in a four place aircraft, there is no reason not to fly cross country in a two place. A four place aircraft is often preferred because it can carry more passengers, fuel and baggage and flies a little faster. The heavier weight also gives a better ride in turbulent conditions. Light Sport Aircraft (LSA) are certified versions of advanced microlights. They are factory built and maintained to the same standards as GA aircraft. LSA aircraft may be used for training for an microlight certificate (AMC) with a microlight instructor or a PPL or CPL, when trained by a Part 61 rated instructor. Enjoy a day, or a weekend away to a remote airfield with your like minded club members on a group flyaway. Because fly aways are often headed by an instructor, trainees and RPLs usually also get the chance to share the flying. 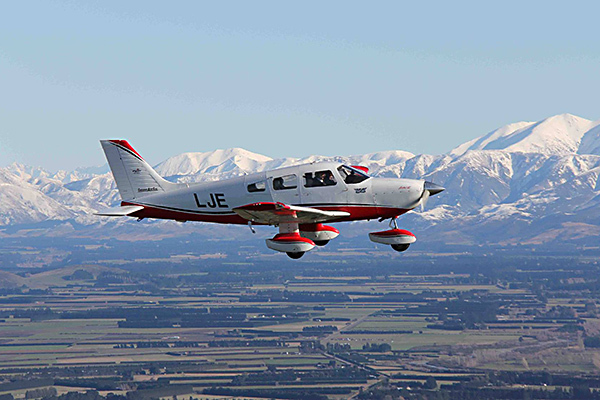 Flying NZ has competitions to suit all levels of skill and licence types, from a low hour trainee pilot to the seasoned professional. You can represent your club, your region or your country. Add a night rating to a PPL and you can experience the magic of flying in a night time fairyland!